DEMA: introducing the lula dress! Say hello to the newest DEMA dress: The Lula! A pullover style with an easy, a-line silhouette. 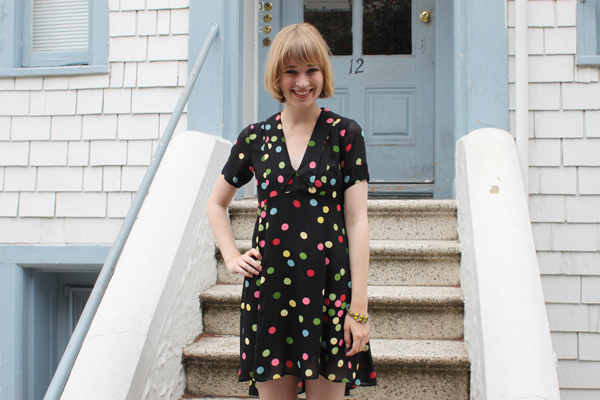 This silk polka dot version is the perfect dress for Summer and beyond. Our favorite part is the sweet pointed collar. Just the right mix of sassy and sweet! We'll be making this lovely frock in many more fabrics in the future, we just can't get enough. And the price, if I can ask?